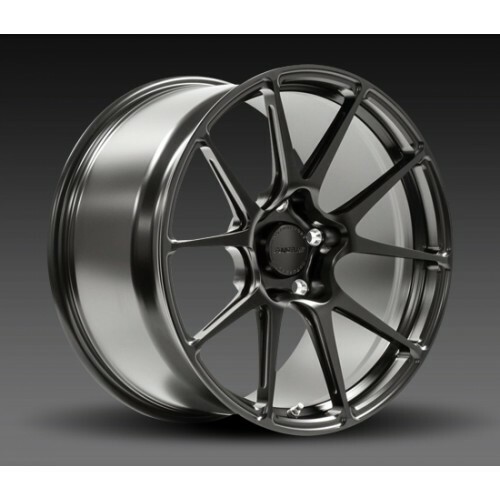 Perhaps the most advanced wheel that we have ever made, the fully-forged one-piece monoblock GA1R delivers a trifecta of greatness - strength, stiffness, and lightweight performance - thanks to 6061-T6 monoblock forgings, I-beamed spokes, and Forgeline engineering. Now for serious drivers who are looking for the ultimate in lightweight performance, the deal just got even sweeter with the new GA1R Open Lug Cap Edition. Similar to our race-proven GA1R Open Lug wheel, the GA1R Open Lug Cap Edition has significant material machined from the centre area for additional weight reduction, improved access to the lugs, and an exaggerated extra-aggressive concave look. But unlike the Competition Series GA1R Open Lug racing wheel (which will NOT accept a centre cap), this "Cap Edition" has a redesigned hub centre and includes a unique specially-engineered tall centre cap (with “Motorsport” engraving) to cover the hub spindle and protect it from the elements. The GA1R Open Lug Cap Edition is produced using our traditional forging method from 6061-T6 aluminium. It is currently available in 18, 19, 20, and 21-inch sizes with a range of widths and offsets. 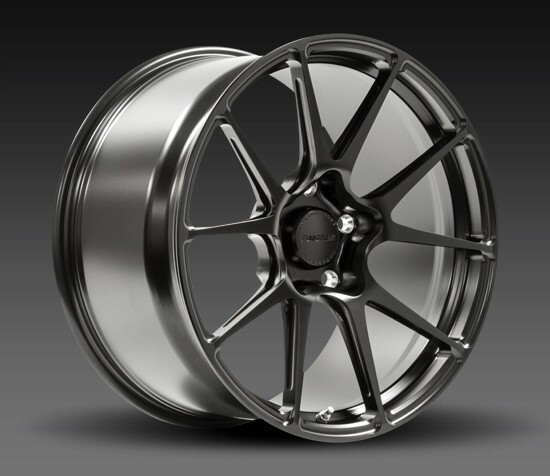 (Please Note: Depending on size, the GA1R Open Lug may be available in deep, medium, or shallow concave profiles. See sizing chart for details.) And just like any Forgeline wheel, the GA1R Open Lug Cap Edition is available with fully customizable finish options.